a number to customizing your agents and more. No Contracts. No Hidden Fees. No Hardware. 24/7 Phone and Live Chat Support. Basic call center software functions are available in Nectar Desk as well as advanced features. 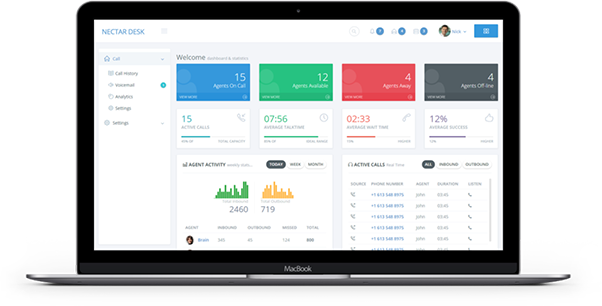 Checkout full agent’s performance metrics that include answering time, agent availability, call recording, listen live along with customized reporting and alerts. With Nectar Desk, you get a chance to control all your omnichannel interactions on-the-fly. Our call center software allows to integrate SMS, ticketing, chat, email texts, and other communications in a whim. Use our cloud-based ACD tools, auto dialers and IVR technologies to reach out to horizons you didn’t imagine. 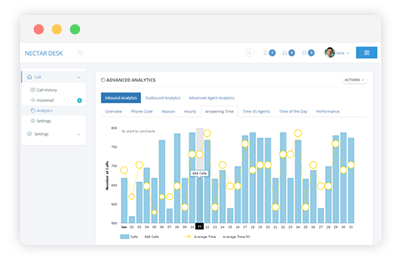 You can now assess the performance of your agents, including the virtual reps in real-time. Get to monitor and analyze their interactions with leads and step up when they need assistance. Scaling up/down is effortless as you don’t have to install cumbersome hardware systems. Adding or subtracting agents shouldn’t be a nightmare anymore. Also, data storage and recovery is easier than ever with Nectar Desk. Our cloud call center solutions are designed to help diverse businesses create a holistic image of your prospect enabling you to tailor services to them. 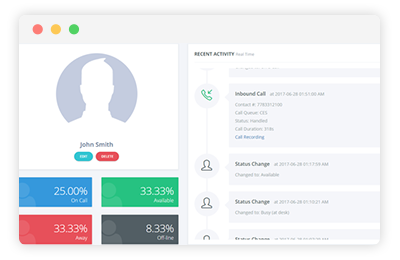 Our call center software supports 20+ integrations including Salesforce to ensure that all team departments get essential metrics from customer’s behavior across all platforms. 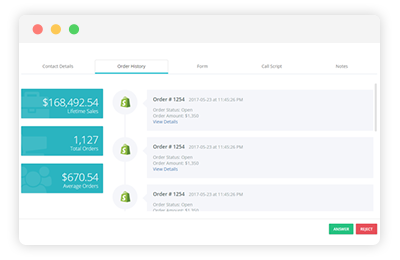 Nectar Desk Call Center Software facilitates business to handle, manage, and report on every client interaction from all communication channels and give pleasant and reliable support. So, they will trust your organization, never turn down but recommend to their friend, relatives and simply familiar people while you’ll enjoy the growth of new customers. for themselves, encouraging our clients to trial our Cloud Call Center software to ensure it meets all their needs before they purchase. We offer free onboarding support to every trial account. We invite you to give NectarDesk a chance to show you how our Cloud Call Center software can improve your customer service. Want a system that can be used on the go? Then Nectar Desk already got you covered. From the intuitive dashboard to the use diversified call center software tools, everything is straightforward. Your on-demand agents can operate smoothly from home as calls are routed to them when call volumes surge. Tools such as auto-dialers and ACD automates call center operations enabling agents to concentrate on qualifying, converting and bringing leads to retention phase. We present feature-rich virtual call center software that’s highly adaptable and compatible with various platforms. Enhance your KPIs with real-time analytics, better workforce management and creation of production customer relationships with dozens of features at your disposal. No complex configurations and junk. Set off your sail with a few clicks only. Seamless integrations are enriching agents with valuable customers’ insights to enhance proactive and personalized client support. Thoughtfully designed to accommodate enterprises of all sizes across various industries. Fastidious operations tailored to the client increases ROI and bolsters sales. We offer Advanced trial accounts completely Free for 14 days. Including Credits and Phone Number to test Phone Calls.